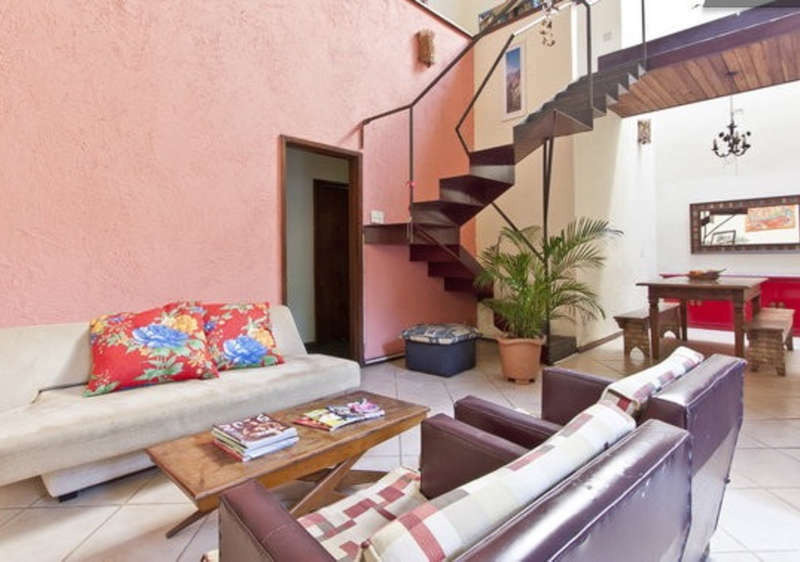 Charming and cozy, Alma de Santa will provide you a comfortable and peaceful place to stay. In the most charming neighborhood of Rio de Janeiro, in the heart of the city, with a lovely garden in a quiet neighborhood. Pleasant and beautiful neighborhood of Santa Teresa, near many restaurants, bars and a 10-minute walk from the most lively areas of Rio de Janeiro, Lapa. We are just meters from the subway - Gloria station - and also have easy access to several bus. Alma de Santa Guest House your home in Rio de Janeiro. Regular Cancellation: Please note that if you cancel or change : a percentage of 40 % total booking value will be charged . In case of no show a percentage of 80 % total booking value will be charged . Please note that if you cancel or change : a percentage of 60 % total booking value will be charged . In case of no show a percentage of 80 % total booking value will be charged . When making the reservation will be charged a percentage of 10 % of the stay , this amount shall be subtracted from the overall total. Payment balance will be made upon arrival of the guest. When making the reservation will be charged a percentage of 40 % of the stay , this amount shall be subtracted from the overall total. Payment balance will be made upon arrival of the guest.